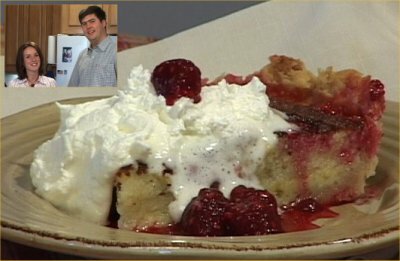 See the video of Dan and Cora making Cora's homemade ButterMilk Pie. Click here to watch the video. If you have a slow Internet connection, click here to see lower-quality video clip. Mix flour and salt in a small bowl. Cut in shortening with fork until crumbs are coarse. Add cold water until it forms a ball. Then press dough into a pie pan. Top with berries and whipped cream if desired.  LIVE VOTE: What's your biggest Muffin problem? Have you considered a non-stick silicone muffin pan? Give it a try...they're GREAT!